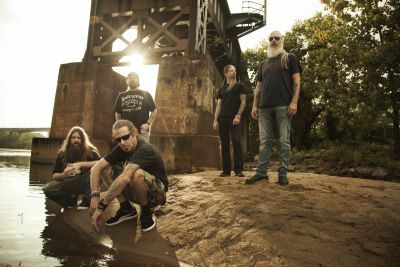 Hailed as leaders in the “New Wave of American Heavy Metal”, Lamb Of God are back and Soundspheremag just couldn’t wait to talk to the Virginia metallers in preparation for the release of their highly anticipated seventh offering, ‘Resolution’ due in January. Guitarist Mark Morton chatted to us about the new album, writing new material and the 2012 UK tour. Having a place to be away from distractions and to focus solely on potential songs either alone or with other band members has contributed to the forthcoming album being reflected on as “introspective” by various band members in the past. In terms of the lyrics and the emotion that’s embedded inside them, Morton agrees entirely. “Lyrically, the things I’m writing about tend to have to do with personal situations, relationships and people that are a big part of my life or things that I have gone through with family, friends or acquaintances.” Morton concludes however that in the end, and when considering the new material, he will always encourage the listener to “make a song their own” by making an independent decison as to what it is about. For more information visit the official Lamb Of God website.